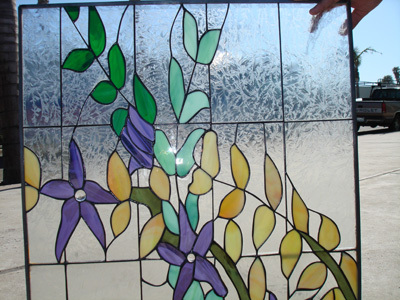 Turn ordinary windows in your home into something extraordinary. 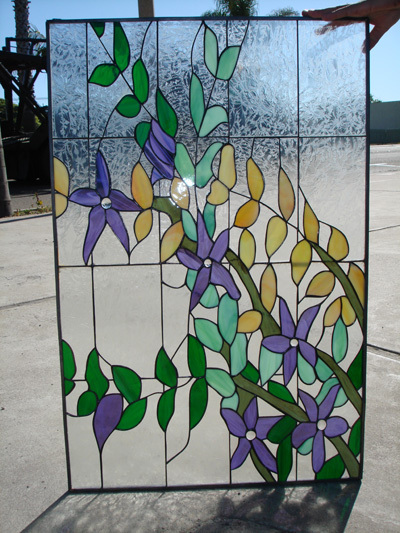 Our autumn leaves leaded stained glass window panel brings natural elements into your home with the privacy of textured clear glass bedazzled with a stunning purple flowers amidst the changing colors of the leaves. From green hues to golden, they create a rich natural tapestry that will look beautiful in your home during any season. 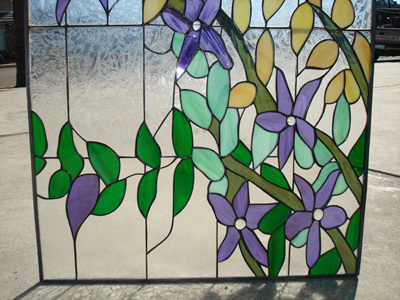 Autumn Leaves – These purple, blue and brown leaves dance dramatically against a clear grid of etched glass.